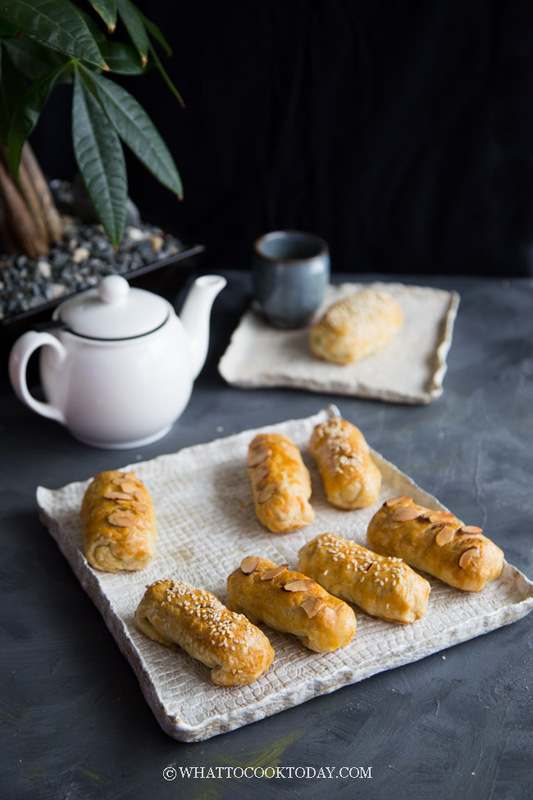 Soft, chewy, and slightly sweet nian gao with 3 different filling combination is wrapped in buttery and flaky puff pastry is another creative way of using up the Chinese New Year nian gao. 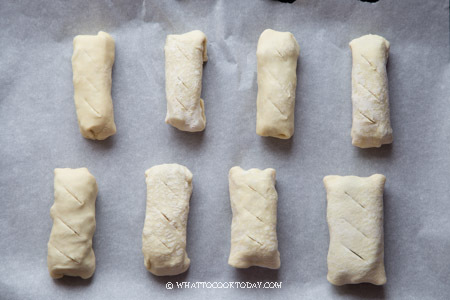 Can we just get a consensus that pretty much anything that is wrapped with a buttery flaky puff pastry should be made illegal? I mean seriously!! 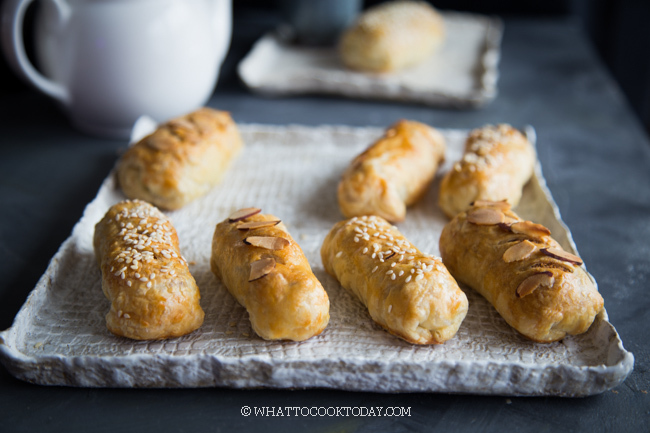 I don’t know why I didn’t do this baked nian gao puff pastry any sooner. But they say better late than never. The idea is basically as simple as it sounds. 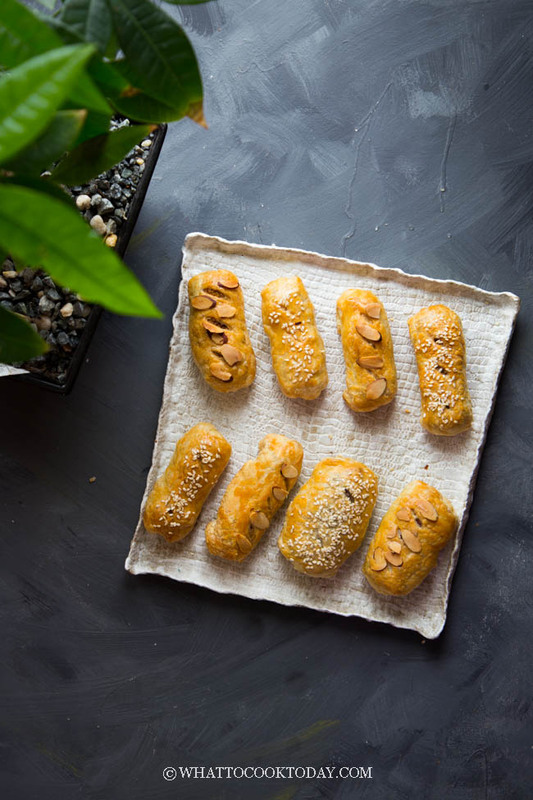 Slices of nian gao are wrapped with ready-made puff pastry sheets and then baked to perfection. Seriously easy but it works. A friend of mine send me this amazing box of Chinese pastries that she hauled back all the way from Penang. It’s ridiculous how tasty those pastries were. Sinful but only God knows how amazing they were. 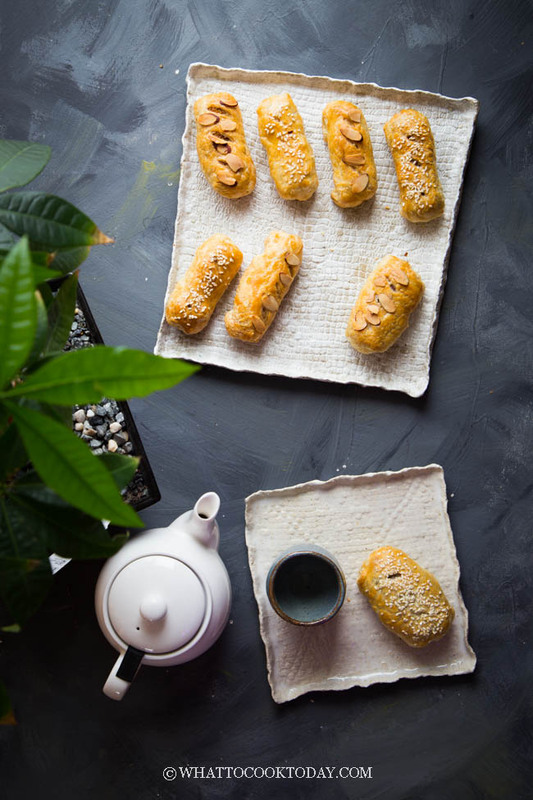 The pastries were filled with some of the most amazing filling combinations such as lotus seeds paste with chicken floss, salted egg yolk with pandan paste, shredded coconut with gooey nian gao. What really caught my attention was the lotus seeds paste with chicken floss! I thought that combination was really amazing and creative! 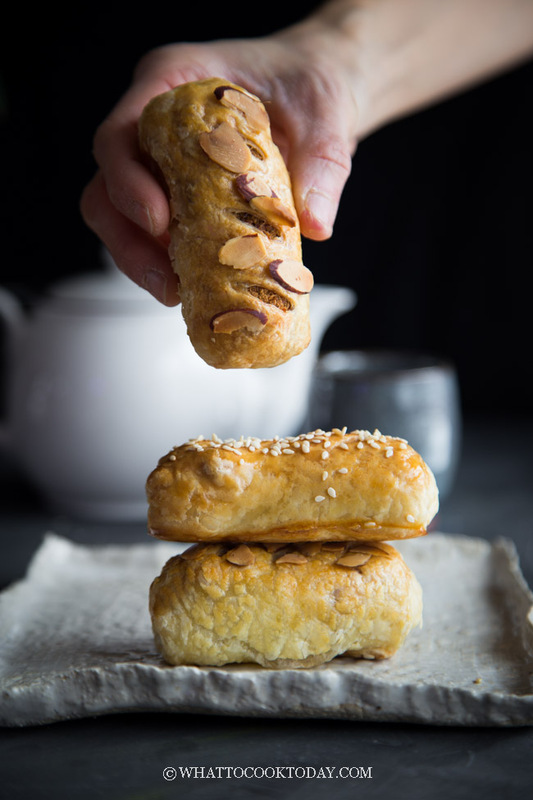 This may not be something new anymore in Asia, but it was certainly new to me and I’m loving it and decided to give this combination twist in my baked nian gao puff pastry! You can really just go crazy with your own combinations if you wish. Just out from the oven perfection! 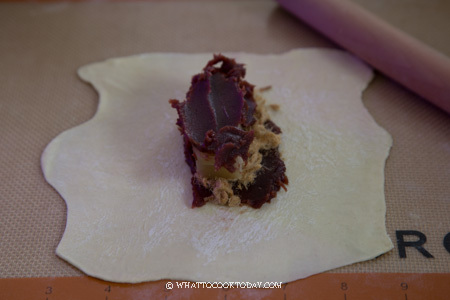 CAN I BAKE NIAN GAO PUFF PASTRY AHEAD OF TIME? 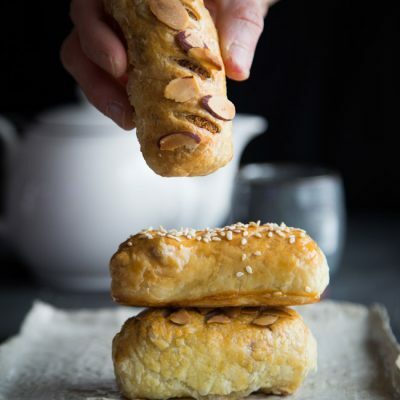 Even a person who doesn’t like to eat nian gao enjoy this baked nian gao puff pastry. 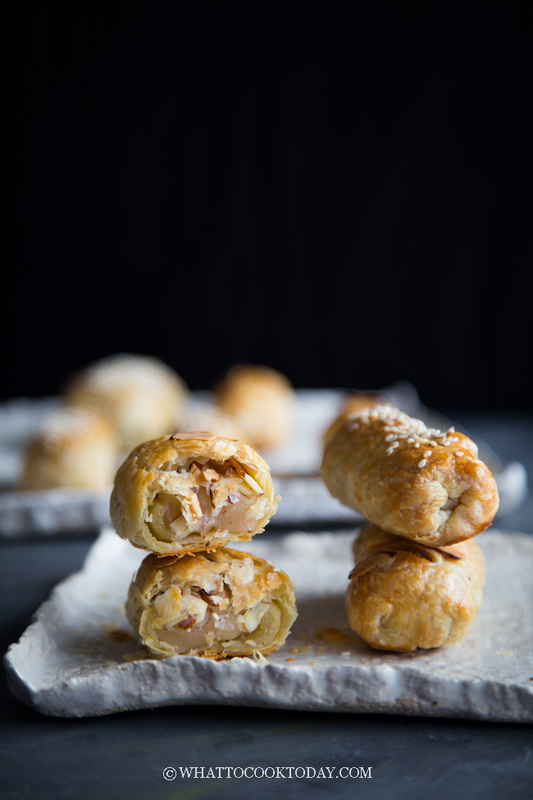 My husbands and kids really enjoy the filling combinations. 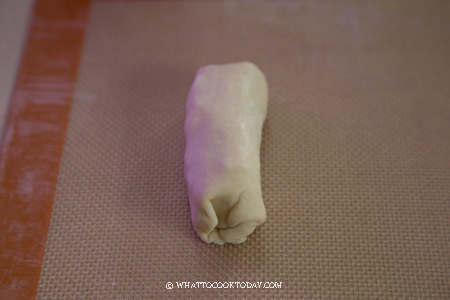 Ever since I introduced them to meat floss in my easy crispy mini pork floss rolls, they are hooked to this date. I won’t be surprised to see more recipes incorporating more meat floss in the future 😉 It’s something that I grew up with and love so much to this date! 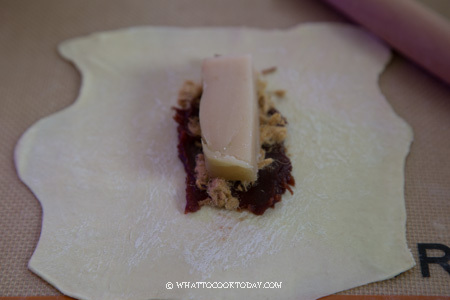 Buttery flaky crust with soft, chewy, slightly sweet nian gao and the savory meat floss, nutty nuts, and sweet red bean paste are THE BOMB! 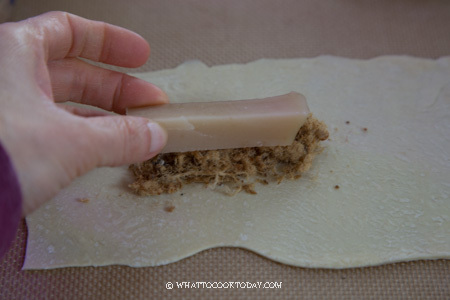 I was amazed to see this recipe as I didn’t know much about Nian Gao. 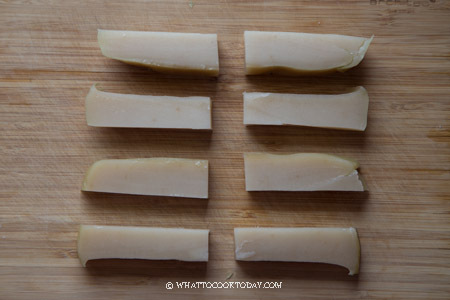 To try this recipe out, I especially purchased the Nian Gao. 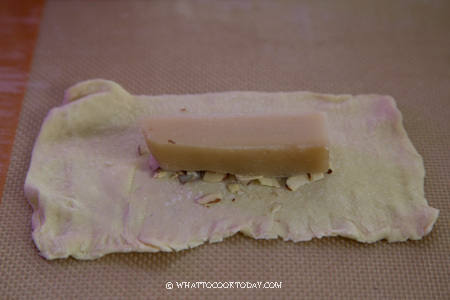 I tried the Nian Gao with nuts as nuts are my weakness. 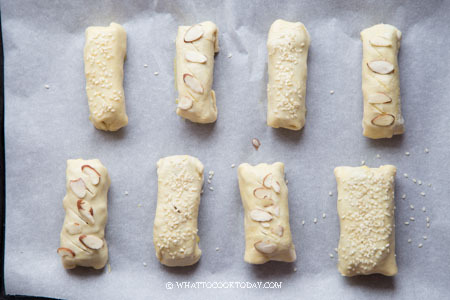 It was awesome but I found the most delicious results with the mixture of nuts instead of almonds only. 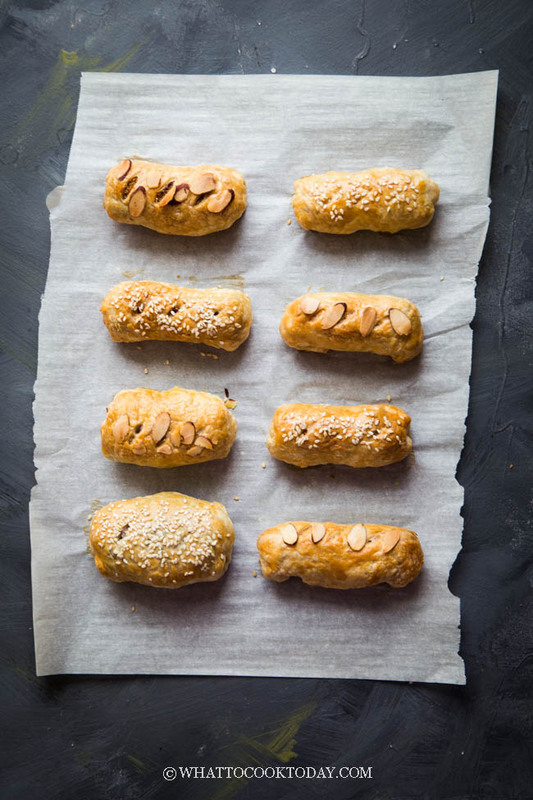 Try the mixture of chopped almonds, cashew nuts, pistachios and pecans. I loved it with a sprinkle of maple syrup. Ohh…maple syrup!!! That will definitely taste even better COrrie!